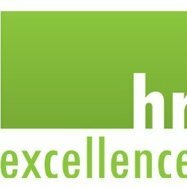 Human Recourse Excellence® is a formal, International, world Class HR development Standard, with a strong focus on the performance of the organisation as its primary objective. It benefits from the principles of the world’s best HR standards and frameworks together with the thinking and experience of many leading academics and management practitioners internationally. The Standard is governed and advised by an independent, expert panel of leading academic, business management and HR experts to ensure the highest levels in impartiality, professionalism and best practice in operations. Human Recourse Excellence® is divided into six sections and each section is developed into a series of statements against which the Standard is assessed.